Q. How do I create a permanent link to an article in my course? A Persistent Link, or Persistent URL (PURL), is a constant, stable link to a document in a database that will not change over time. A PURL is also sometimes referred to as a durable link or a Permalink. PURLs allow to you provide an item to your students, such as a full-text article located within a database, by copying the Permalink and posting it in Canvas. This specific link to the article will work reliably, and will work off campus. 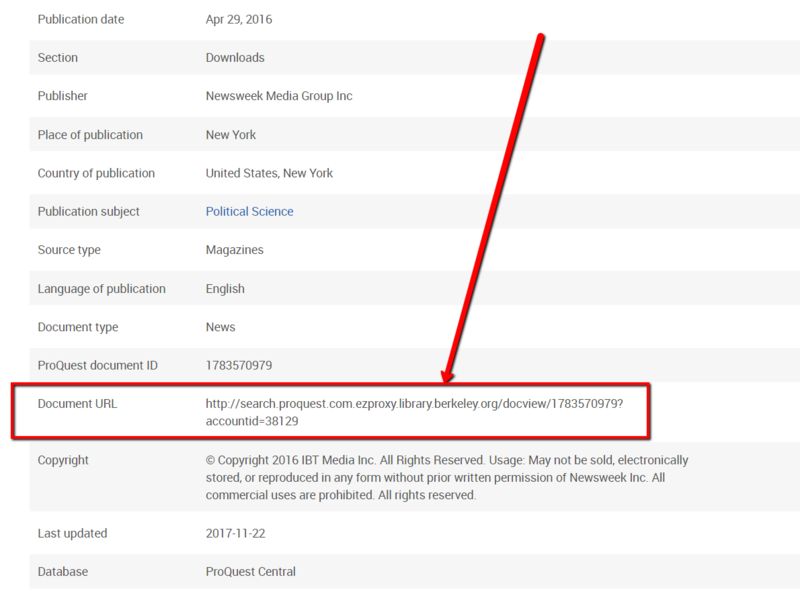 You know a link is a persistent link if you see the word 'EZProxy' in the link followed by the library's information as shown below. PLEASE NOTE: Articles in online databases are provided by licensing agreements and utilizing the PURL is the recommended method for sharing this type of content. Posting articles in an open access environment can be copyright infringement unless you secure permission from the publisher and/or author. Because of this, please keep the content within Canvas, and use the persistent links from our subscribed resources, which do not require such authorization. 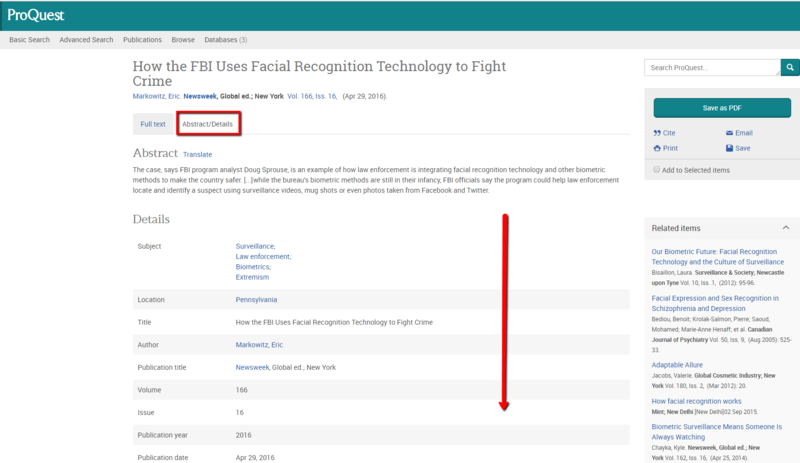 See the videos below for a walkthrough of accessing the PURL in EBSCO, CQ Researcher, and ProQuest. See the attached document for PURL locations in all of our databases.